CEF’s volunteers are the invaluable champions of what we do, what we believe in and how we connect to country kids – the future lifeblood of our rural and regional areas. CEF’s 40-plus local foundations are all run by volunteer committees. Every year they decide which country kids get grants to pursue their ambitions, they go into schools to encourage kids to apply, and offer immeasurable reach in mentoring and offering networks to country people from all walks of life. Without volunteers, hundreds of country students every year would be left without people who believe in them and their dreams. Each year CEF National presents the Katie Walker Outstanding Service Award to outstanding committee members in recognition of their dedication and tireless efforts addressing and raising awareness of the issues facing rural youth pursuing their dream of further education. Nominations are called for annually in September/October. – have demonstrated a personal commitment and dedication to supporting their local youth. 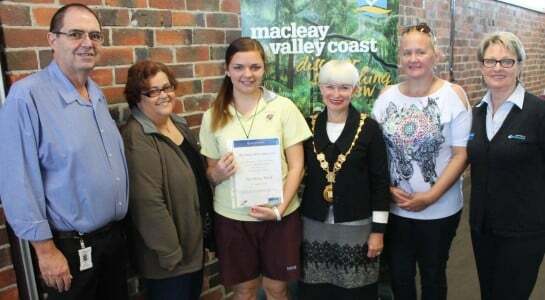 This passionate CEF volunteer and Macleay Valley CEF founder knows first-hand that education is vital when it comes to unlocking opportunity for regional kids. As a former teacher and mum of three Jane knows the value of investing in futures – in a big or small way. Anna is young, ambitious and what CEF is all about. She has gone from CEF recipient to committee secretary in a space of eight years.